“Now, now Agatha. Do calm down. It won’t help if you fluster around like that! I am sure that people will come to the meeting today as many people do really want to help you get your house in order. Cameron has really done a great job.” said Elliot Beaman, referring to the article that appeared in the Daily Dandelion the day before. Agatha Buckley was tightly holding onto her husband’s shirt as she was very nervous. The villagers so far had been very much willing to help them renovate their house but what if they had changed their mind? Agatha was quite worried that no one would want to help them after all and that she would have to spend the winter in the drafty cottage which they owned. 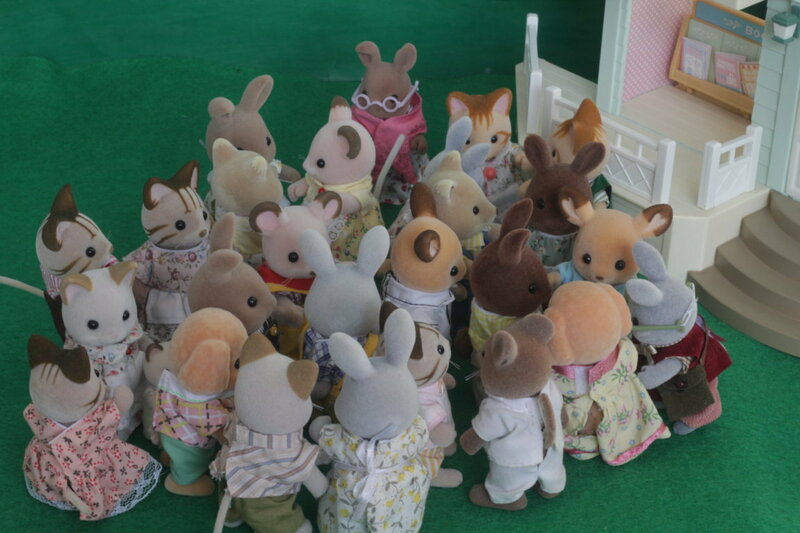 After a few minutes, and to Agatha’s great relief, sylvanians started to gather in front of the Country Market. First of all came Ginger and Herb Wildwood. Ginger immediately gave the doe a warm hug. She always smelt of cinnamon and spices which was very soothing. Then came Slick and Velvette Slydale, then Herbage and Theodora Dappledawn, then Aaron Cottontail, then Henry Hazlewood, then Darcy and Bridget Fielding and then Evangeline Beaman. 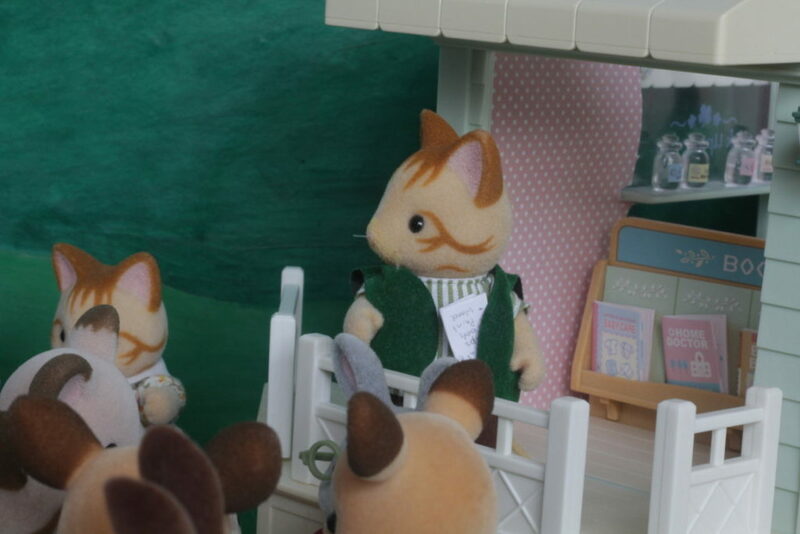 “I was talking to Alonzo Macavity this morning, he is coming and so are the Dante’s, they are even bringing little Larkin!” Evangeline chattered and then noticed her husbands shirt. “Elliot! Look at the state of your shirt! It has wrinkles in it! Goodness, how many times do I have to tell you to hang up your shirts so that your ironed shirts stay nice and wrinkle free? Really, you can’t give a speech looking like that!” and she began fussing and tugging at the shirt. Evangeline greatly cared about a tidy appearance and would not stand anything which did not look neat and tidy. Soon, even more people were arriving in front of the Country Market, all chattering excitedly about what they had read in the Daily Dandelion about the meeting here today. “I hope that I will be able to help Agatha and her family, she is such a lovely woman and I would like to help with the sewing that needs to be done. I have also sent a letter to my old friend Annette Grasshill who lives in Seashell Bay to see if there is a willing seamstress there.” Clara Macavity, the oldest daughter of Alonzo and Caroline Macavity said. As she was nearly an adult, she felt that it was appropriate to refer to Mrs. Buckley as Agatha, something that she was very proud of. “What a good idea! 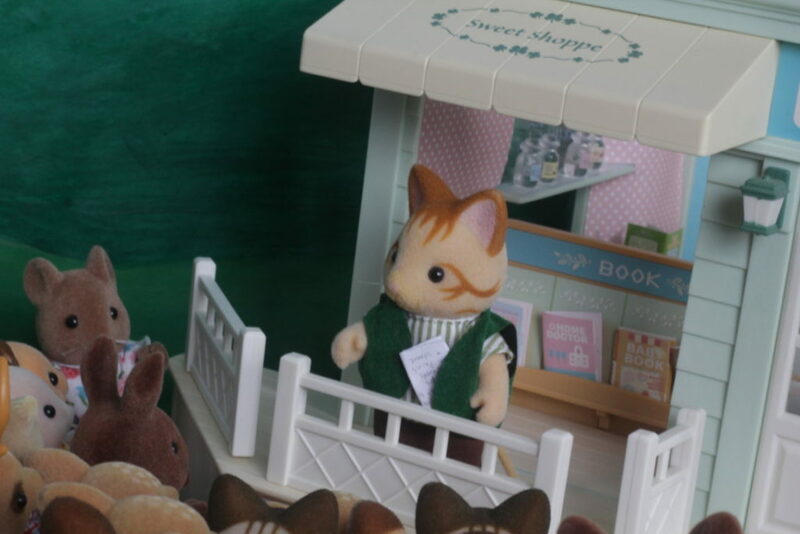 I will write to my sister to see if she knows anyone in Thistle Meadows who will be willing to do some sewing.” Primrose Dante replied eagerly. “I want to write a letter too!” little Larkin Dante squealed cheerfully, she was really a lot happier and energetic since she was adopted by the Dante family. “Oh yes! I will do it right now!” she exclaimed. “You can after we hear what Mayor Beaman has to say. Then I can take you to the Nursery where you can use the paints and special crayons to make your masterpiece. Would you like to do that?” Primrose asked. “Yes! And then we can eat cookies and drink hot chocolate at the Bakery!” Larkin giggled. Clara smiled, Larkin was such a sweet little girl. She couldn’t wait until she might have a daughter of her own someday. 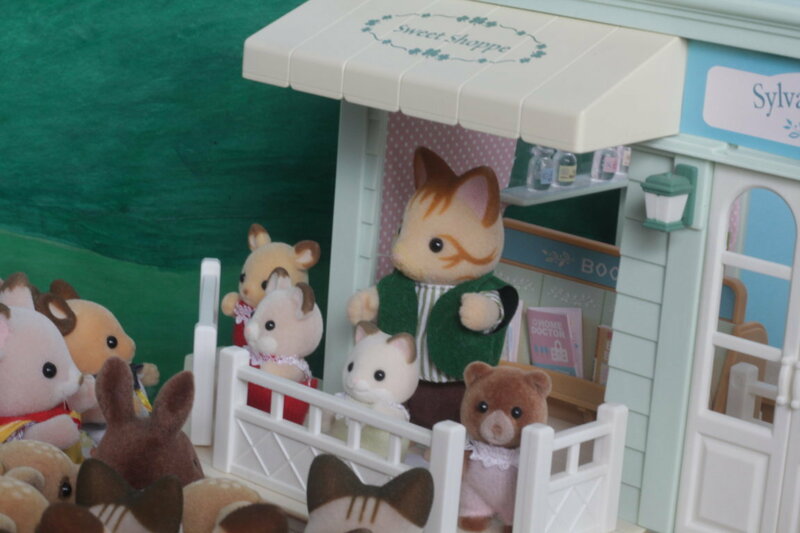 Mayor Elliot stood on the balcony of the Country Market and watched as sylvanians streamed towards him. Most of them were adults as the children had school but as he watched, he saw that a few children followed Aristotle Treefellow (the teacher of the local school). Evidently, some of the children had convinced their parents to write them a note so that they could go to the meeting and coincidentally miss out on some school. Elliot felt around his jacket to make sure that his notes for his speech were there, reassured that they were still there, he let his hands drop back down to his sides. “Excuse me! Excuse me! Press coming through! Excuse me! I need to write an article! For the Daily Dandelion! Excuse me! Excuse me! Press coming through!” Cameron Moss yelled as he pushed his way through the crowd. Rowena Moss his wife, followed holding paper and pen. They were determined to write a smashing article for the newspaper and needed to hear every word of the Mayors speech in order to do so. “You are not setting a very good example for my students Mr. Moss” Aristotle commented, “The students here today are to act as reporters and then report back to their groups and write an article on the days events. You are not setting a very good example by barging your way through the crowd, not only is it highly disruptive and disrespectful, it also makes it look like it is okay to act in that way when you are a reporter, which it is not. You should really be more considerate Mr. Moss.” he went on. Cameron looked a tad embarrassed and then quietly made his way to the edge of the crowd. “Good idea Rowena, I will give you the articles next week when they are finished.” Aristotle agreed. “Aha!” thought Elliot, “So that’s why some of the children are here“. He cleared his throat and then began his speech. “I would like to welcome four wonderful volunteers to come up here. Yes, come on up Oscar, Jamie, Larkin and Karenza. 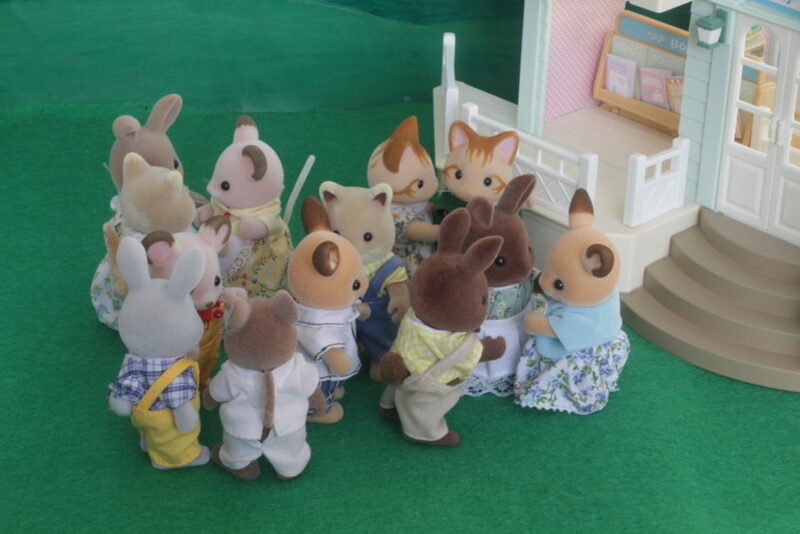 Now, I want the sylvanians who want to do some of the cleaning, gardening and sewing to line up in front of Karenza, the sylvanians who would like to provide some food in front of Larkin, the furniture builders and painters in front of Jamie and the sylvanians who want to perform the actual repairs on the house to line up in front of Oscar. Yes, you can be in multiple groups.” Elliot instructed. “Mayor Elliot, Sir, do my sister and I count as children or as adults?” Lupin Macavity asked from where he had lined up in front of Oscar Buckley. He wasn’t too sure because he and his twin sister Clara were seventeen and almost of adult age. “You may count as adults, you and Clara are both hardworking and mature and will do a splendid job in this project, I know.” he replied. Clara and Lupin both glowed with pleasure as they heard the Mayors words. It was a lovely to hear that the Mayor thought so highly of them. Hello everyone! I am very happy to say that this post is finally getting published though the photos are not my best work, they are a tad cold looking and plain in my opinion. Thankfully, my next photos have turned out very well and I am really excited to publish them, they are a lot warmer and clearer and I love them! I am aiming to publish the next bit of the story soon, maybe in a week or so? I don’t really know. Thanks to school, I feel quite drained of energy. Luckily, only two tests, two project hand ins and one more week of school to go. This term has just dragged on! ← The Daily Dandelion: Buckley House Restoration: A Lot of Work! You comment made me smile, it was so lovely! Writing on my blog is my way to be creative as I have chosen mainly ‘uncreative’ subjects at school (such as like geography and economics). The TV show sounds interesting, do you watch it? Wow – the Buckleys will have a splendid home with so many helping hands/paws who do the job… This calls for a tremendous house-warming party, when the job’s done! I love your story, Emily – especially the idea of gathering the working groups in front of the babies is cute <3 love it!!! They are all looking forward to that house warming party! Thank you for reading Kaia! I think that your Sylvanians are all very nice. I am glad that so many of them turned up to help the Buckley’s renovate their house. I hope that you do well in your tests. In Australia we finished school last week. Lucky duck for finishing school last week! I have a test second to last period on the Friday and another third period on Thursday, I really hope that they go well too. The Buckley family is really looking forward to starting their renovation so that they can move in as soon as possible. I also think the idea of gathering the working groups in front of the babies is great. 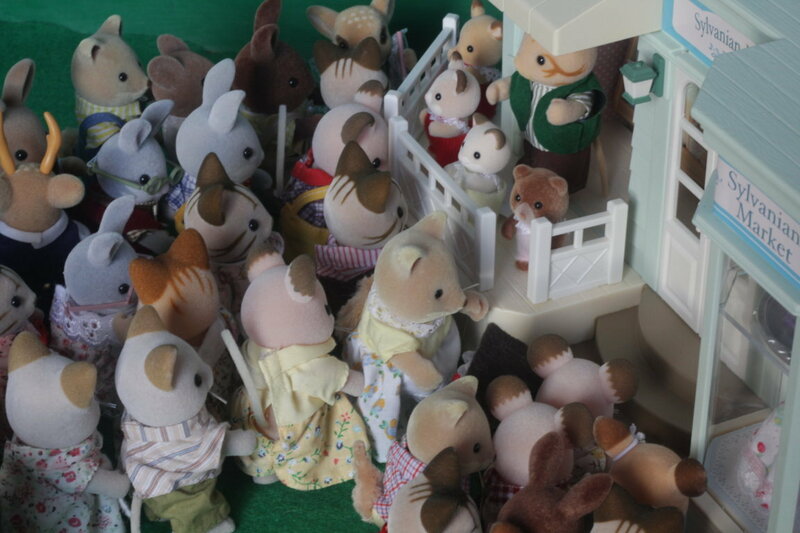 Your Sylvanians are so organized, it’s amazing! The renovation can only turn out really well with so many motivated helpers! Good luck for your two test and projects. Hope you have a great October. Hugs and kisses from Riverside. Thank you for your wonderful comment Nina! 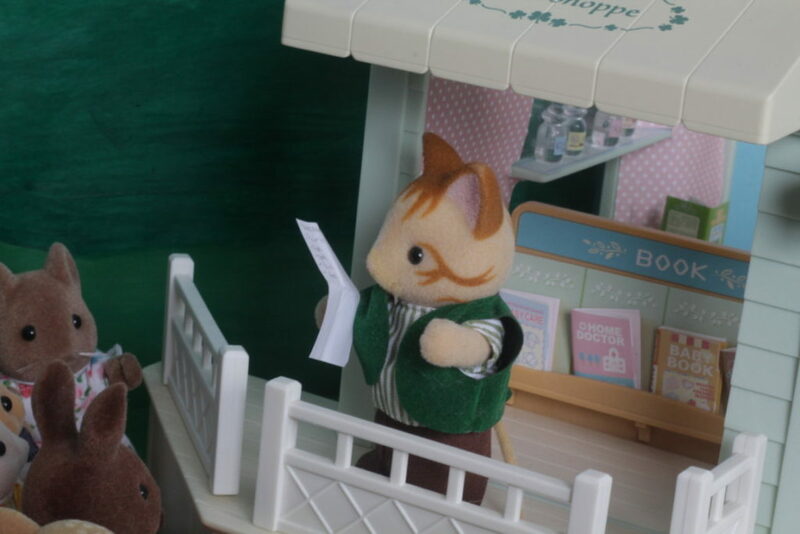 Mayor Elliot loves to have everything organized, I guess he has to because he is always so busy with his duties as the Mayor. This was a lovely story, as always, and I thought the pictures were great! 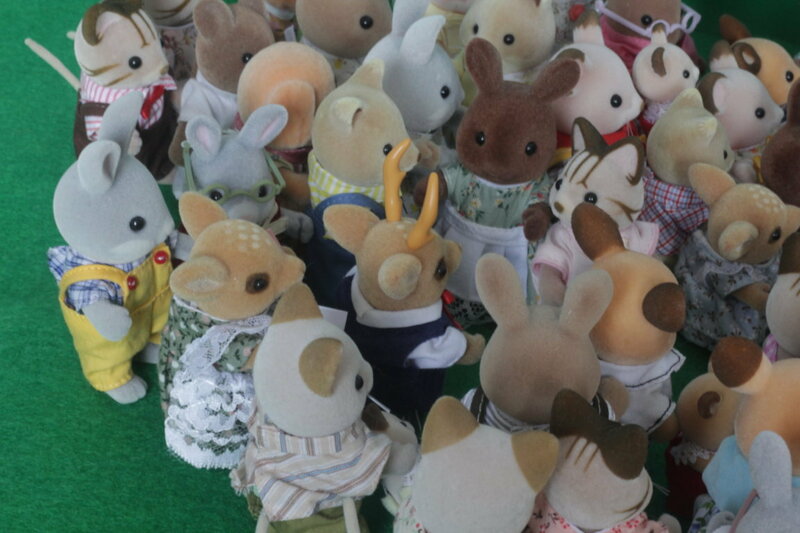 It can’t be easy to photograph that many Sylvanians! I’m sure the Buckley’s home will be renovated in no time! Hi Ayrell! Thank you for the lovely comment, they will be starting the actual renovation very soon! It´s lovely to see how helpful and organized are villagers of Dandelion Creek. The Buckley´s are lucky to have so many wonderful neighbours willing to give them a hand. 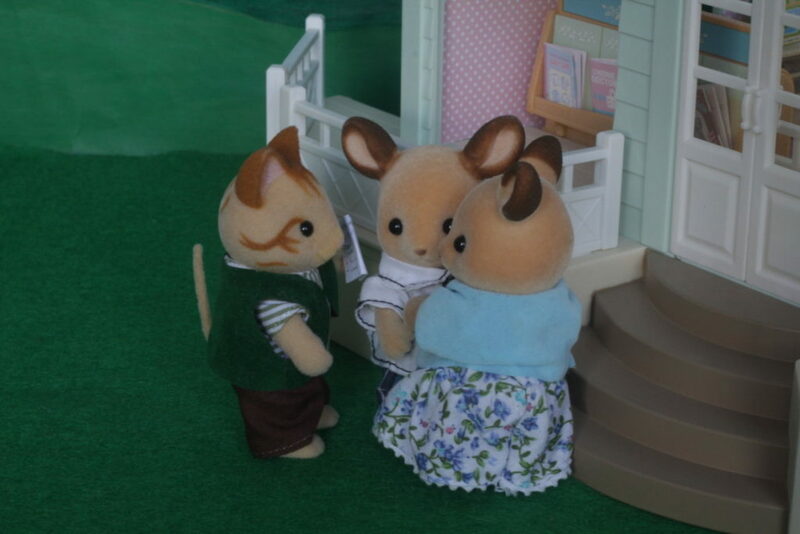 I´m sure the Buckley´s will be able to move to their new home before the cold winter comes. Looking forward to seeing them settled in their cottage. The renovation is going to start very soon and I really think will be finished before winter comes! I am also looking forward to see your Buckley’s home too. I am looking forward to them too!